You’ve spent months — maybe even years — preparing for your wedding day. The spreadsheets, late nights, and bargain-hunting escapades have been more toil than you ever imagined. If not for your future spouse, friends, and family, you would have called it quits a long time ago (right when the ceremony site called to say it was shutting down). But the hard work is finally over — today’s the big day. No amount of effort, stress, or complaint will make an appreciable difference now, so you may as well enjoy the most important moment of your life. That’s all it is, really: just a moment. An entire day’s festivities and all the accompanying emotions flash by. Rows of sparklers line your exit from the reception. You dip your bride for a kiss, people cheer, and you’re gone. When you wake the next day, your feet hurt from dancing, your throat is sore from laughter, and your stomach aches with hunger (all that money spent on food and you ate hardly two bites), but your memory is a blur. Just then you recall something wonderful: this is the first day of your mini-moon. What is a mini-moon? It’s the abridged version of a honeymoon. Rather than planning, funding, and executing a week-long (or more) trip immediately following an exhausting, expensive wedding, a mini-moon offers enough time away with your significant other to relax, indulge, and have fun without going overboard. Some may still choose to go on a bigger trip some months after the wedding, but a mini-moon is the deep breath we all need before diving back into work and routine. My wife and I decided to stay just far enough away to feel the urge to explore, but close enough not to waste too much time getting there. That turned out to be San Clemente, California, a 45-minute drive from our apartment in Costa Mesa. We briefly considered booking a hotel in town, but after seeing the prices for four-star rooms, we turned to Airbnb. A five-minute search produced three or four highly reviewed private residences. We settled on an ideally located bungalow that cost about as much for two nights as one night at a nearby hotel. Better still, the Airbnb owner offered beach chairs, towels, surfboards, and bikes for us to use while staying with him. Finding transportation won’t look the same for everyone. If you’re mini-mooning close to home and want a cost-effective option, you may decide to take your own car or even Uber to and from the destination. 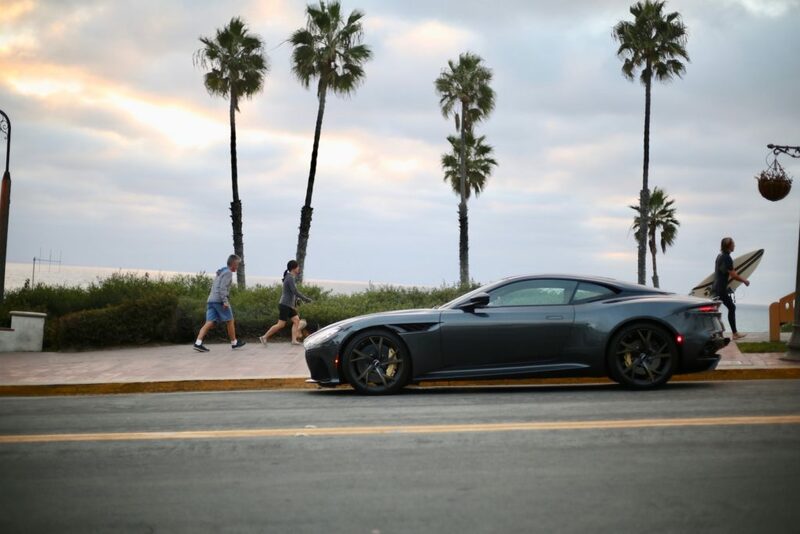 If, however, you want to class-up your adventure, consider renting an exotic car. Enterprise, Hertz, Turo, and other vehicle loan services offer high-end vehicles alongside their standard models. I didn’t choose any of those options. The biggest perk of my profession is access to extravagant cars, including those made by one of the most exclusive marques in the world. 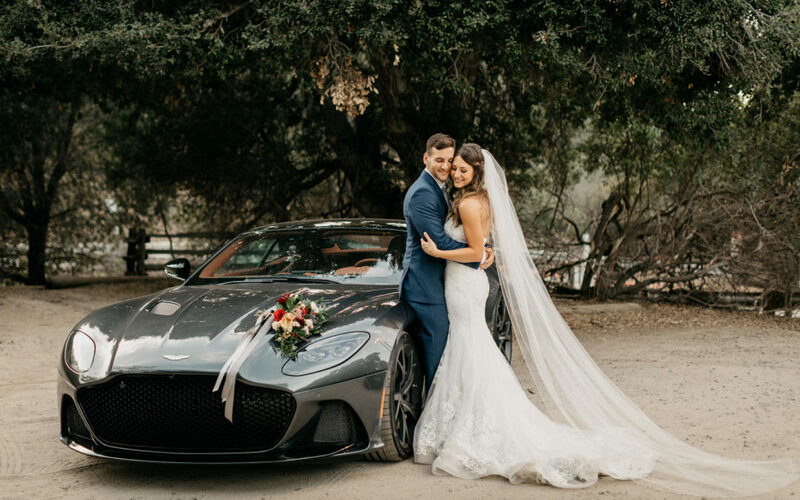 Aston Martin was gracious enough to loan me its current flagship, the DBS Superleggera, for my wedding day and mini-moon. Successor to the venerated Vanquish S, the DBS Superleggera is a dashing Super GT (Grand Tourer) with a ruthless twin-turbocharged V12 engine. A breathtaking 715 horsepower packs tightly into the Superleggera’s sculpted bodywork. Hand-built touches, uniquely cured carbon fiber, and flawless Scottish leather set this coupe apart from all others. 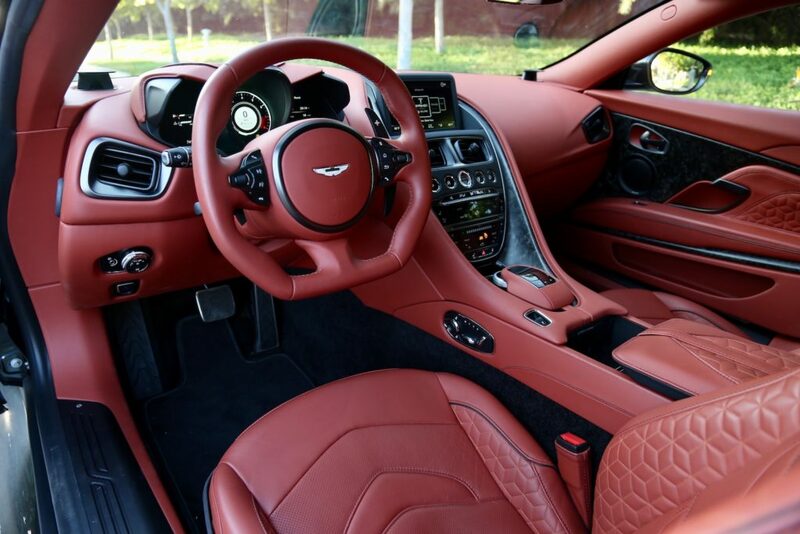 Our mini-moon chariot’s Gloss Xenon Gray paint struck a sinister stance while the Chancellor Red leather interior matched the fiery passion of our love (too much?). I’ll abandon the stirring prose for a moment to say the DBS made my wife and I feel like royalty. 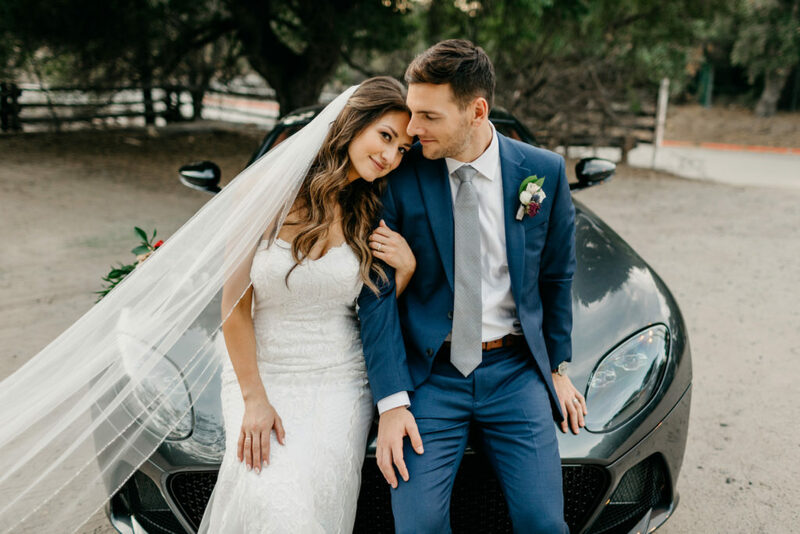 Driving away from our reception, cruising along coastal roads, and parking outside San Clemente’s restaurants, we felt the warm glow of our wedding continue well beyond the day’s festivities. When scoping activities and dining for your mini-moon, try to keep it simple. Build in time to lounge, cuddle, and just enjoy each other’s company. Loading up a handful of days with pursuits can create stress and distract you from the present moment. My wife and I built our trip around one key activity and one or two food/coffee joints each day. Apart from the reservations we made in the evening, nothing had a set schedule, so the pressure was off. The night of our arrival, we ran into some old friends who recommended a few eateries and a good hike in the area. The rest of our meals and adventures during our stay came from Yelp and good old-fashioned exploration. 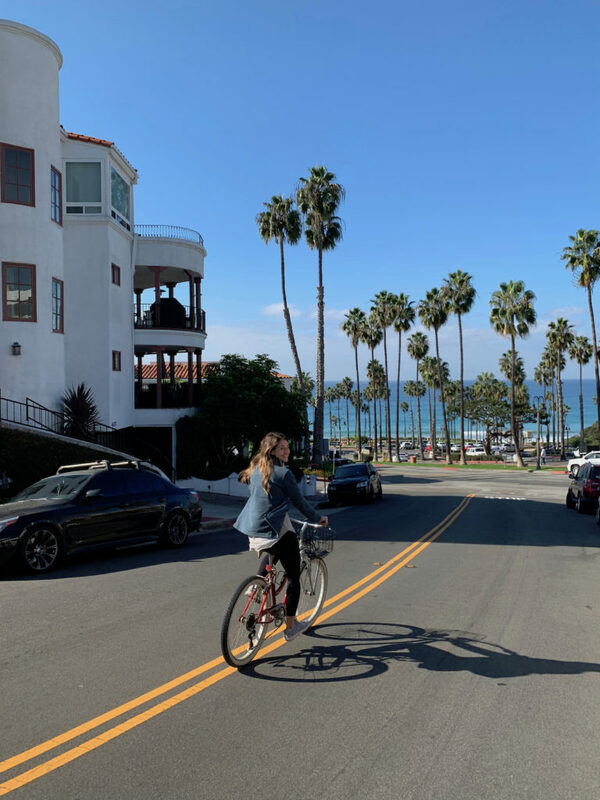 Our loosely constructed plans left room to bike along the coast for an hour longer than planned, shop at some outlet stores we stumbled upon on the way back from our hike, and swing by a coffee shop a local recommended. 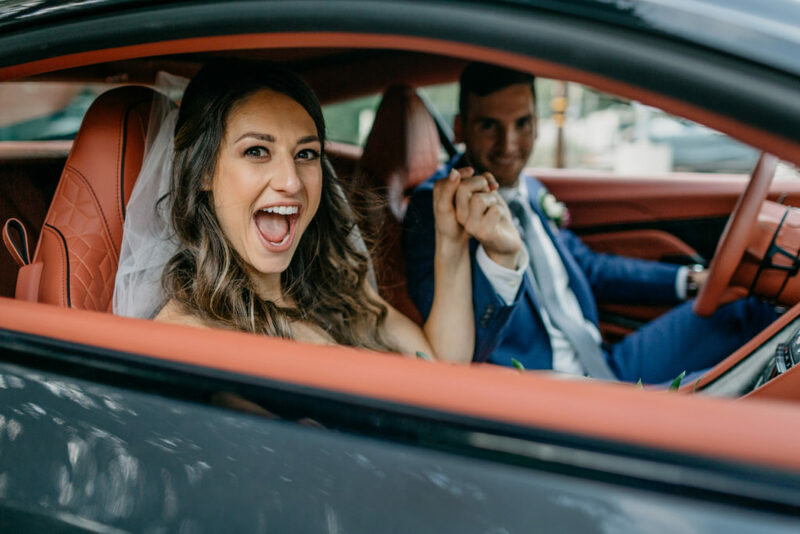 Striking the right balance of fun and leisure is important, and taking a bit of time before your wedding to map out a place to stay, a way to get around, and some activities will go a long way to helping you relax with your life partner. Whether you watch movies in bed for two days or complete an iron man, the best way to maximize your mini-moon is simply to spend quality time together away from the burden of routine.